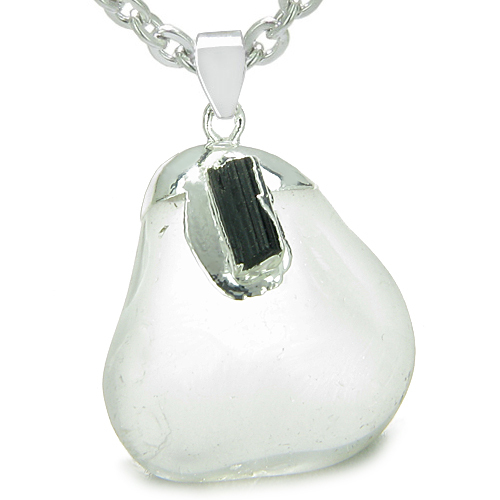 Brazilian Crystal Rock Quartz Tumbled Charm holds a Setting with Rough Black Tourmaline Gemstone. Dipped and Heavily Electroplated in Silver. Size: Approximately 1 to 1 ½ inches long. Each Charm is Hand Carved and Naturally Unique and No two pieces are ever alike. This is Naturally Unique and One of the Kind Tumbled Crystal pendant made from Crystal Quartz Gemstone and holds Rough Black Tourmaline Gemstone Crystals. This Tumbled Crystal is made from Genuine Gemstone and may have natural specks. It is Dipped in Silver and looks absolutely Gorgeous. These Crystals are Handcrafted from Brazilian Gemstones and made exclusively for Best Amulets. This Crystal is Evil Eye Protection Amulet, as it is made from Crystal Quartz and Black Tourmaline Gemstone and attracts powers of Protection against Evil Eye energies and forces. Tourmaline is a wonderful stone and excellent channeling stone for communication with higher forces. Tourmaline helps to break up energy blockages, which we mentally experience as anxiety, stress or confusion. Tourmaline helps you to move beyond limited thinking, to an expanded sense of reality, and see past experiences in new ways. Black Tourmaline protects against negativity. Powerfully deflects and shields against unwanted or dark energies, anger, resentment or jealousy especially for sensitive people. Encourages intellectual thought, vitality. It can transform and remove negativity from an individual or an environment. 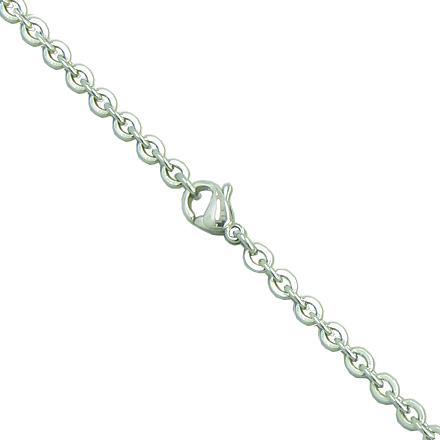 It is often used as an aura cleanser, and can help one attain higher levels of awareness. Black tourmaline is also used for repelling and protecting one from black magic, and is often said to return the negative spell to the sender. They are used in an effort to relax the body as well as the mind.